The Farabundo Martí National Liberation Front is one of the two major political parties in El Salvador. In 1990 the UN began peace negotiations and on January 16, 1992, a final agreement, The Chapultepec Peace Accords,  was signed by the combatants in Mexico City, formally ending the conflict. The Chapultepec Peace Accords brought peace to El Salvador in 1992 after more than a decade of civil war. The 1932 Salvadoran peasant massacre occurred on January 22 of that year, in the western departments of El Salvador when a brief peasant-led rebellion was suppressed by the government, then led by Maximiliano Hernández Martínez. The Salvadoran army, being vastly superior in terms of weapons and soldiers, executed those who stood against it. The rebellion was a mixture of protest and insurrection which ended in ethnocide, claiming the lives of an estimated 10,000 and 40,000 peasants and other civilians, many of them indigenous people. In addition, the insurgents in the Civil War viewed their support of the insurrection as a demonstration of their opposition to the powerful elite's unfair treatment of peasant communities that they experienced on an everyday basis, so there was a class element associated with these insurgencies. They reveled in their fight against injustice and in their belief that they were writing their own story, an emotion that Elisabeth Wood titled "pleasure of agency." 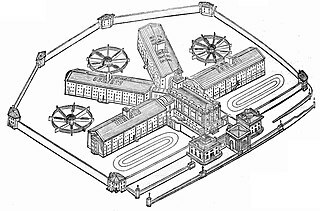 The peasants' organization thus centered on using their struggle to unite against their oppressors, not only towards the government but the elites as well. A struggle that would soon evolve itself into a political machine that came to be associated with the FMLN. In the early months of 1980, Salvadoran guerilla groups, workers, communists, and socialists, unified to form the Farabundo Martí National Liberation Front (FMLN.) The FMLN immediately announced plans for an insurrection against the government, which began on 10 January 1981 with the FMLN's first major attack. The attack established FMLN control of most of Morazán and Chalatenango departments for the war's duration. Attacks were also launched on military targets throughout the country, leaving hundreds of people dead. FMLN Insurgents ranged from children to the elderly, both male and female, and most were trained in FMLN camps in the mountains and jungles of El Salvador to learn military techniques. The US steadfastly denied the existence of the El Mozote massacre, dismissing reports of it as leftist "propaganda," until secret US cables were declassified in the 1990s. The US government and its allies in US media smeared reporters of American newspapers who reported on the atrocity and, more generally, undertook a campaign of whitewashing the human rights record of the Salvadoran military and the US role in arming, training and guiding it. The smears, according to journalists like Michael Massing writing in the Columbia Journalism Review and Anthony Lewis, made other American journalists tone down their reporting on the crimes of the Salvadoran regime and the US role in supporting the regime. As details became more widely known, the event became recognized as one of the worst atrocities of the conflict. In 1982, the FMLN began calling for a peace settlement that would establish a "government of broad participation". The Reagan administration said the FMLN wanted to create a Communist dictatorship. Elections were interrupted with right-wing paramilitary attacks and FMLN-suggested boycotts. El Salvador's National Federation of Lawyers, which represented all of the country's bar associations, refused to participate in drafting the 1982 electoral law. The lawyers said that the elections couldn't possibly be free and fair during a state of siege that suspended all basic rights and freedoms. The Armed Forces of El Salvador are the official governmental military forces of El Salvador. The Forces have three branches: the Salvadoran Army, the Air Force of El Salvador and the Navy of El Salvador. The Forces were founded in 1840 at the time of the dissolution of the United Provinces of Central America. Between 1978 and 1992, the Salvadoran armed forces fought a civil war against the Frente Farabundo Marti para la Liberacion Nacional (FMLN). The military is accused of committing massacres, killings, torture and abuses of human rights during this time. The history of El Salvador begins with several Mesoamerican nations, especially the Cuzcatlecs, as well as the Lenca and Maya. In the early 16th century, the Spanish Empire conquered the territory, incorporating it into the Viceroyalty of New Spain ruled from Mexico City. In 1821, the country achieved independence from Spain as part of the First Mexican Empire, only to further secede as part of the Federal Republic of Central America two years later. Upon the republic's dissolution in 1841, El Salvador became sovereign until forming a short-lived union with Honduras and Nicaragua called the Greater Republic of Central America, which lasted from 1895 to 1898. Raymond Bonner is an American author and investigative reporter who has been a staff writer at the New York Times, The New Yorker and has contributed to The New York Review of Books. His latest book, Anatomy of Injustice: A Murder Case Gone Wrong, was published by Knopf in February 2012. The El Mozote Massacre took place in and around the village of El Mozote, in Morazán department, El Salvador, on the 11 December 1981, when the Salvadoran Army killed more than 800 civilians during the Salvadoran Civil War. El Mozote massacre was preceded by the Indigenous Genocide massacre of 1932, the Student massacre of 1975, Oscar Romero funeral massacre and Sumpul River massacre in 1980, it was followed by El Calabozo massacre in 1982, Tenango - Guadalupe massacre, Tenancingo - Copapayo massacre in 1983, and Guaslinga - Los Llanitos massacre in 1984. 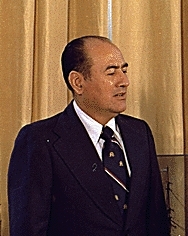 Carlos Manuel Arana Osorio was President of Guatemala from 1970 to 1974. His government enforced torture, disappearances and killings against political and military adversaries, as well as common criminals. José Napoleón Duarte Fuentes was a Salvadoran politician who served as President of El Salvador from June 1, 1984 to June 1, 1989. He was mayor of San Salvador before running for president in 1972. He lost, but the election is widely viewed as fraudulent. Following a counter-coup in 1979, Duarte led the subsequent civil-military Junta from 1980 to 1982. 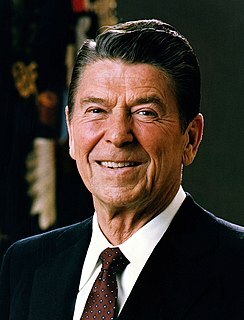 He was then elected president in 1984, defeating ARENA party leader Roberto D'Aubuisson. 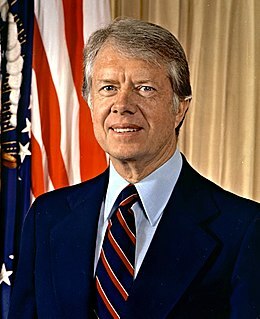 Supported by the Reagan Administration and the Central Intelligence Agency, his time in office occurred during the worst years of the Salvadoran Civil War which saw numerous abuses and massacres of the civilian population by the Salvadoran security forces and the death squads linked to them. The Guatemalan Civil War ran from 1960 to 1996. It was fought between the government of Guatemala and various leftist rebel groups supported chiefly by ethnic Maya indigenous people and Ladino peasants, who together make up the rural poor. The government forces of Guatemala have been condemned for committing genocide against the Maya population of Guatemala during the civil war and for widespread human rights violations against civilians. Herbert Ernesto Anaya Sanabria was the president of the NGO Human Rights Commission of El Salvador (CDHES). He was assassinated on October 26, 1987 close to his home. Herbert Anaya was the fourth leader of CDHES to be murdered or "disappeared" during the 1980s, none of these cases being satisfactorily resolved. Early in 1993 Anaya's son was shot and wounded when armed men tried to intercept the car of his widow Mirna Perla de Anaya. The Atlacatl Battalion, a former Salvadoran Army unit, was a rapid-response, counter-insurgency battalion created in 1980 at the U.S. Army's School of the Americas, then located in Panama. It was implicated in some of the most infamous incidents of the Salvadoran Civil War. It was named for Atlacatl, a legendary figure from Salvadoran history. ORDEN or Organización Democrática Nacionalista was a Salvadoran paramilitary organization founded under the military rule of Julio Adalberto Rivera, headed by José Alberto Medrano. ORDEN helped control the 1972 elections, in which reform-minded José Napoleón Duarte lost to Arturo Armando Molina due to fraud. 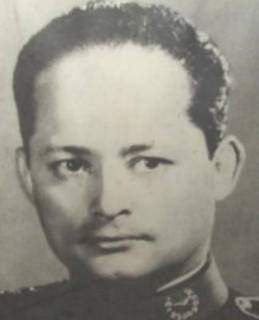 Lieutenant Colonel Domingo Monterrosa Barrios was a military commander of the Armed Forces of El Salvador during the Salvadoran Civil War. The Guatemalan genocide, Maya(n) genocide, or Silent Holocaust refers to the massacre of Maya civilians during the Guatemalan military government's counterinsurgency operations. Massacres, forced disappearances, torture and summary executions of guerrillas and especially civilian collaborators at the hands of US-backed security forces had been widespread since 1965 and was a longstanding policy of the military regime, which US officials were aware of. A report from 1984 discussed "the murder of thousands by a military government that maintains its authority by terror." Human Rights Watch has described "extraordinarily cruel" actions by the armed forces, mostly against unarmed civilians. During the Salvadoran Civil War, on 16 November 1989, Salvadoran Army soldiers killed six Jesuits and two others at their residence on the campus of José Simeón Cañas Central American University in San Salvador, El Salvador. The Jesuits were advocates of a negotiated settlement between the government of El Salvador and the Farabundo Martí National Liberation Front (FMLN), the guerilla organization that had fought the government for a decade. The murders attracted international attention to the Jesuits' efforts and increased international pressure for a cease-fire, representing one of the key turning points that led toward a negotiated settlement to the war. The People's Revolutionary Army was one of five leftist guerrilla organizations that comprised the Farabundo Martí National Liberation Front (FMLN). Formed on October 10, 1980, the FMLN was one of the main participants in the Salvadoran Civil War (1979-1992). The El Calabozo massacre was an incident during the Salvadoran Civil War on 21-22 August 1982, in which more than two hundred people, including children and elderly, were reportedly killed at El Calabozo by the Atlacatl Battalion of the Salvadoran Army. The Truth Commission for El Salvador was a restorative justice truth commission approved by the United Nations to investigate the grave wrongdoings that occurred throughout the country's twelve year civil war. It is estimated that 1.4 percent of the Salvadoran population was killed during the war. The commission operated from July 1992 until March 1993, when its findings were published in the final report, From Madness to Hope. The eight-month period heard from over 2,000 witness testimonies and compiled information from an additional 20,000 witness statements. The Ofensiva hasta el tope was the major engagement of the Salvadoran Civil War. The battle, fought between the Farabundo Martí National Liberation Front Marxist guerrilla and the Salvadoran government, lasted from the 11 November to early December 1989. Sometimes referred to as "Ofensiva fuera los fascistas. Febe Elizabeth vive", in honor of an assassinated union leader, it was the most brutal confrontation in the entire conflict, amounting for seventeen percent of the total casualties in ten years of warfare. 1 2 3 Michael McClintock. The American connection: state terror and popular resistance in El Salvador. London: Zed Books. p. 388. ISBN 0862322405. ↑ Armony, Ariel C. (1997). Argentina, the United States, and the Anti-communist Crusade in Central America, 1977-1984. Ohio University Center for International Studies. pp. 84–88. ISBN 0-89680-196-9. ↑ Hunter, Jane (1987). Israeli foreign policy: South Africa and Central America. Part II: Israel and Central America - Guatemala. pp. 111–137. ↑ The Giant's Rival: The USSR and Latin America, Revised Edition, 1988. Page 143. ↑ The Kashmir Question: Retrospect and Prospect, 2013. Page 121. 1 2 3 Michael W. Doyle, Ian Johnstone & Robert Cameron Orr (1997). Keeping the Peace: Multidimensional UN Operations in Cambodia and El Salvador. Cambridge: Cambridge University Press, pp. 222. ISBN 978-0-521-58837-9. 1 2 María Eugenia Gallardo & José Roberto López (1986). Centroamérica. San José: IICA-FLACSO, pp. 249. ISBN 978-92-9039-110-4. ↑ "Dirección de Asuntos del Hemisferio Occidental: Información general-- El Salvador". U.S. State Department. 18 November 2004. Archived from the original on 17 March 2014. ↑ Charles Hobday (1986). Communist and Marxist parties of the world. New York: Longman, pp. 323. ISBN 978-0-582-90264-0. ↑ "El Salvador 30 años del FMLN". El Economista. 13 de octubre de 2010. ↑ Armed with: Assault rifle AK-47 and M16, Machine guns RPK and PKM and handmade explosives. ↑ Irvine, Reed and Joseph C. Goulden. "U.S. left's 'big lie' about El Salvador deaths." HUMAN EVENTs (9/15/90): 787. ↑ Wood, Elizabeth (2003). Insurgent Collective Action and Civil War in El Salvador. Cambridge: Cambridge University Press. ↑ Larsen, Neil (2010). "Thoughts on Violence and Modernity in Latin America". In Grandin & Joseph, Greg & Gilbert. A Century of Revolution. Durham & London: Duke University Press. pp. 381–393. Retrieved 14 January 2014. ↑ Report of the UN Truth Commission on El Salvador (Report). United Nations. April 1, 1993. ↑ "'Removing the Veil': El Salvador Apologizes for State Violence on 20th Anniversary of Peace Accords". NACLA. Retrieved 2 March 2016. ↑ "El Salvador's Funes apologizes for civil war abuses". Reuters. 16 January 2010. Retrieved 2 March 2016. ↑ COHA. "El Salvador's 1993 Amnesty Law Overturned: Implications for Colombia". ↑ El Salvador, In Depth: Negotiating a settlement to the conflict, Uppsala Conflict Data Program Conflict Encyclopedia, Uppsala, Sweden: Uppsala University, retrieved May 24, 2013, While nothing of the aid delivered from the US in 1979 was earmarked for security purposes, the 1980 aid for security only summed US$6,2 million, close to two-thirds of the total aid in 1979. ↑ Danner, Mark (1993). The Massacre at El Mozote. Vintage Books. p. 9. ISBN 0-679-75525-X. ↑ "philly.com: The Philadelphia Inquirer Historical Archive (1860-1922)". nl.newsbank.com. ↑ "Truth Commission: El Salvador". July 1, 1992. Retrieved April 7, 2018. ↑ "Chapultepec Peace Agreement" (PDF). UCDP. Retrieved 19 February 2014. ↑ Haggerty, Richard A. (1990). El Salvador: A Country Study. Headquarters, Department of The Army. p. 306. ↑ "El Salvador en los años 1920–1932" (in Spanish). Archived from the original on 15 September 2008. Retrieved September 14, 2008. ↑ Armed Forces of El Salvador. "Revolución 1932" (in Spanish). Archived from the original on June 19, 2008. Retrieved September 14, 2008. 1 2 3 Taylor, Robert; Vanden, Harry (September 1982). "Defining Terrorism in El Salvador: La Matanza". The Annals of the American Academy of Political and Social Science. 463: 106–118. doi:10.1177/0002716282463001009. 1 2 Little, Michael (1994). A war of information : the conflict between public and private U.S. foreign policy on El Salvador, 1979-1992. University Press of America. ISBN 9780819193117. ↑ Haggerty, Richard A. (November 1988). El Salvador: A Country Study (PDF). FOREIGN MILITARY INFLUENCE AND ASSISTANCE: Federal Research Division Library of Congress. p. 223-224. ↑ Walter, Williams (1997). Militarization and Demilitarization in El Salvador's Transition to Democracy. p. 90. ↑ Armstrong, Robert / Shenk, Janet. El Salvador: The Face of Revolution (Boston: South End Press, 1982), 163. ↑ Whitfield, Teresa (1995). Paying the Price: Ignacio Ellacuría and the Murdered Jesuits of El Salvador. Philadelphia, PA: Temple University Press. ↑ Dunkerley, James (1982). The Long War: Dictatorship and Revolution in El Salvador. pp. 106–107. ↑ Library of Congress. Country Studies. El Salvador. Background to the Insurgency. ↑ Gettleman, Marvin (1987). El Salvador : Central America in the new Cold War. New York: Grove Press. ISBN 0394555570. ↑ Rabe, Stephen (2016). The killing zone : the United States wages Cold War in Latin America. New York: Oxford University Press. ISBN 9780190216252. ↑ Pastor, Robert (Winter 1984). "Continuity and Change in U.S. Foreign Policy: Carter and Reagan on El Salvador". Journal of Policy Analysis and Management. 3 (2): 175–190. doi:10.1002/pam.4050030202. ↑ McMahan, Jeff (1985). Reagan and the world : imperial policy in the new Cold War. New York: Monthly Review Press. ISBN 085345678X. 1 2 Report of the UN Truth Commission on El Salvador. April 1, 1993. p. 27. ↑ United States Embassy in San Salvador, cable 02296, 31 March 1980. The Washington Post, 31 March 1980. ↑ National Security Archives, El Salvador: The Making of US Policy, 1977-1984, p. 34. ↑ United States. Dept. of State. Bureau of Public Affairs (1985). Central America, US policy. Bureau of Public Affairs, Dept. of State. ↑ Arneson, Cynthia (1993). Crossroads: Congress, the President, and Central America, 1976-1993. Penn State Press. p. 42. ISBN 9780271041285. ↑ Wood, Elisabeth J. (2003). Insurgent Collective Action and Civil War in El Salvador. Cambridge University Press. p. 5. ISBN 978-0521010504. ↑ Wood, Elisabeth J. (2003). Insurgent Collective Action and Civil War in El Salvador. Cambridge University Press. p. 9. ISBN 978-0521010504. ↑ Wood, Elisabeth J. (2003). Insurgent Collective Action and Civil War in El Salvador. Cambridge University Press. pp. 18, 19. ISBN 978-0521010504. ↑ Wood, Elisabeth J. (2003). Insurgent Collective Action and Civil War in El Salvador. Cambridge University Press. p. 18. ISBN 978-0521010504. ↑ Wood, Elisabeth J. (2003). Insurgent Collective Action and Civil War in El Salvador. Cambridge University Press. pp. 18, 24. ISBN 978-0521010504. ↑ Wood, Elisabeth J. (2003). Insurgent Collective Action and Civil War in El Salvador. Cambridge University Press. pp. 11, 13. ISBN 978-0521010504. ↑ Wood, Elisabeth J. (2003). Insurgent Collective Action and Civil War in El Salvador. Cambridge University Press. pp. 18–19. ISBN 978-0521010504. ↑ "El Salvador: 1945-92". www.fsmitha.com. ↑ "Jimmy Carter: Archbishop Oscar Arnulfo Romero Statement on the Death of the Archbishop of San Salvador". ucsb.edu. ↑ Brunn, Stanley D., ed. (2015). The Changing World Religion Map: Sacred Places, Identities, Practices and Politics. Springer. p. 1962. ISBN 9401793751. ↑ Report of the UN Truth Commission on El Salvador , April 1, 1993, from the Equipo Nizkor/Derechos site. Retrieved 2008-07-16. 1 2 "Guerillas regroup as Carter switches on Salvador arms". The New York Times. 25 January 1981. ↑ Bonner, Raymond (November 9, 2014). "Bringing El Salvador Nun Killers to Justice". The Daily Beast . Retrieved January 16, 2018. ↑ Michael McClintock (1992), Instruments of Statecraft: U.S. Guerilla Warfare, Counterinsurgency, and Counterterrorism, 1940-1990 Web project by Michael McClintock based on his 1992 book by the same name published by Pantheon Books, a division of Random House, Inc.
↑ Draining the sea. Americas Watch Committee. 1985. ↑ Raymond Bonner (January 27, 1982). "Massacre of Hundreds Reported In Salvador Village," The New York Times. ↑ Santiago, Jon (26 April 2009). "Revisiting American Involvement in El Salvador: The Massacre at El Mozote". ↑ Bonner, Raymond (15 April 2016). "Time for a US Apology to El Salvador" – via www.thenation.com. ↑ Michael Miner (April 15, 1993). "Changing Times: The Vindication of Raymond Bonner". Chicago Reader. ↑ United Nations High Commissioner for Refugees. "Refworld - El Salvador: Human Rights Violations by the National Police during the Initial Years of the Civil War". Refworld. ↑ The New York Times, 7 February 1982. ↑ Centro Universitario de Documentación e Información, Proceso, Año 3, No. 98, February–April 1982. ↑ United States Embassy in San Salvador (cable 02165), 3 March 1983. ↑ United States Embassy in San Salvador (cable 00437), 3 December 1982. ↑ Report of the UN Truth Commission on El Salvador. 1993. p. 30. ↑ OAS-IACHR, Annual Report, 1981-1982, pp. 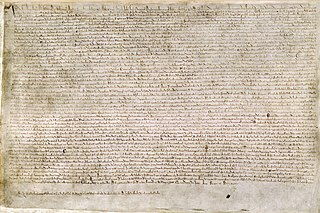 115–116. ↑ Danner, Mark. The Massacre at El Mozote (New York: Vintage Books, 1994). ↑ Amnesty International. Amnesty International Report 1985 (London: AI, 1985), p. 143. ↑ New York Times. LeMoyne, James. "A Salvador Police Chief Vows an End to Abuses" (San Salvador: 1 July 1984). ↑ Amnesty International. Amnesty International's Current Concerns in El Salvador (London: AMR 29/09/85, June 1985), p. 3. ↑ Manuel, Anne (September 1988). Nightmare Revisited, 1987-1988: Tenth Supplement to the Report on Human Rights in El Salvador. Background to the Deterioration: Human Rights Watch. pp. 5–7. ↑ Pugh, Jeffrey (January 2009). "The Structure of Negotiation: Lessons from El Salvador for Contemporary Conflict Resolution". Negotiation Journal. 25 (1): 83–105. ↑ Lindsey Gruson (September 28, 1987). "Land for Salvador's Poor: To Many, Bitter Victory". New York Times,. Special to the New York Times. Rosario de Mora, El Salvador. Archived from the original on April 10, 2016. Retrieved January 22, 2017. ↑ "PEACE in Action - Peacemaking and Conflict Resolution". promotingpeace.org. 1 2 Belisario Betancur, ed. (January 26, 2001). From madness to hope: the 12-year war in El Salvador Part IV. Cases and patterns of violence (PDF) (Report). Reports: El Salvador, United States Institute of Peace. Truth Commissions Digital Collection. Retrieved January 22, 2017. ↑ El Salvador's Decade of Terror, 107. ↑ "U.S. role in Salvador's brutal war," BBC News, March 24, 2002. ↑ El Salvador's decade of terror, Americas Watch, Human Rights Watch Books, Yale University Press, 1991. ↑ El Salvador: 'Death Squads'—A Government Strategy. New York: Amnesty International, 1988. ↑ From Madness to Hope: the 12-year war in El Salvador: Report of the Commission on the Truth for El Salvador . ↑ Extrajudicial Executions in El Salvador: Report of an Amnesty International Mission to Examine Post-Mortem and Investigative Procedures in Political Killings, 1-6 July, 1983. Amnesty International Publications. May 1984. ↑ Amnesty International Report. Amnesty International Publications. 1985. p. 145. ↑ El Salvador's decade of terror, vii. ↑ El Salvador's decade of terror, 47. ↑ Martin, Gus. Understanding terrorism: challenges, perspectives and issues, Sage Publications, 2003, 110. ↑ El Salvador's decade of terror, 21. ↑ Arnson, Cynthia J. "Window on the past: a declassified history of death squads in El Salvador," in Death squads in global perspective: murder with deniability, Campbell and Brenner, eds., 86. ↑ Lopez, George A. "Terrorism in Latin America," in The politics of terrorism, Michael Stohl, ed. ↑ "El Salvador". U.S. Department of State. ↑ Daniel Woolls, Associated Press. "El Salvador massacre case filed in Spanish court," November 13, 2008. Retrieved 2008-11-14. Commission on the Truth for El Salvador (1993). From Madness to Hope: The 12-Year War in El Salvador (PDF). UN Security Council. Antonio Ugalde, Ernest Selva-Sutter, Carolina Castillo, Carolina Paz and Sergio Cañas (2000). Conflict and Health: The Health Costs of War , British Medical Journal.